(MENAFN - The Conversation) The two major parties have kicked off the election campaign with very different policies for cuts to personal income tax. The Coalition promises its tax plan will deliver ' lower, simpler, fairer taxes ' while Labor says its plan is all about the ' fair go '. The major part of Stage 1 is the Low and Middle Income Tax Offset (the LMITO, or 'lamington' as some are calling it), which gives everyone earning less than A$126,000 a cheque in the mail come July and then another one in each of the following three years. 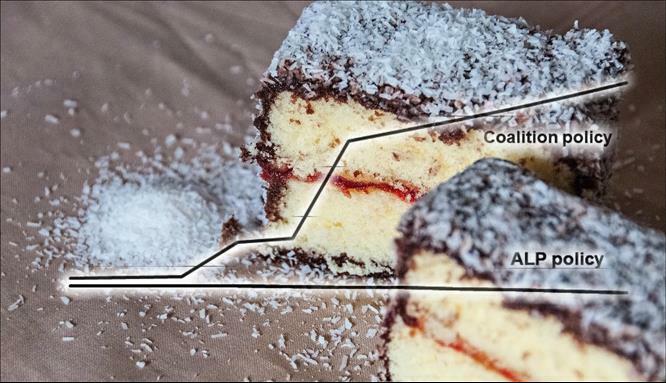 Under Labor the lamington will be permanent, but Labor will not proceed with stages 2 and 3 of the Coalition's tax plan. From July 1, 2019, Labor will also increase the top marginal tax rate paid on incomes above $180,000 from 45% to 47% for an unspecified time, making it essentially a return of the Abbott government's 'temporary deficit reduction levy'. The Coalition's plan will cost the budget about A$298 billion over the next decade. Labor's plan is at the moment much cheaper at about A$63 billion over the same period. If we focus on the next three years, there will be no difference in tax under the two plans for most people. The lowest income earners won't pay income tax under either party's policy. The big differences between Labor and the Coalition's tax policies open up when we get to stage 2 (2022-23) and particularly stage 3 (2024-25) of the Coalition's plan. • The third of taxfilers earning up to $40,000 will pay no tax or be slightly better off under Labor's plan because Labor retains the Low and Middle Income Tax Offset. • The third of taxfilers earning $40,000-$90,000 will be a bit better off under the Coalition's plan. A taxpayer in the middle of the income distribution, earning $63,000 a year by 2029-30, will be approximately $432 a year better off under the Coalition. The top 15% of earners would be fully compensated for bracket creep under the Coalition's plan, paying the same average tax rate or less in 2029-30 as they do today. If Labor were to make no further changes to income tax policy over the decade, Labor's plan would see around 80% of taxpayers facing higher average tax rates in 2029-30 than at present. Top income earners would receive almost no insulation from bracket creep. This is why Labor's plan results in a much healthier bottom line. Shadow Treasurer Chris Bowen has already indicated that a future Labor government would consider tax cuts on a budget-by-budget basis , meaning that today's policy doesn't necessarily tell us what policy will be in a decade's time. The 'progressivity' of a tax system — the degree to which it reduces income inequality — can be measured by the Reynolds-Smolensky Index . It shows the tax system will at first become more progressive under both parties' policies — meaning that post-tax income will become more equally shared. The Coalition's philosophy is about restraining tax as a share of the economy, even if that means it will need to shrink government spending as a share of GDP (in ways that are not yet unexplained ). Labor is signalling that it is more comfortable with the tax share creeping up — mostly thanks to increased contributions from high income earners — but it will make sure lower income earners don't end up worse off. Who says elections aren't a contest of ideas?